Have I officially been in the business awhile? Maybe, because I'm forgetting about things I've done!! 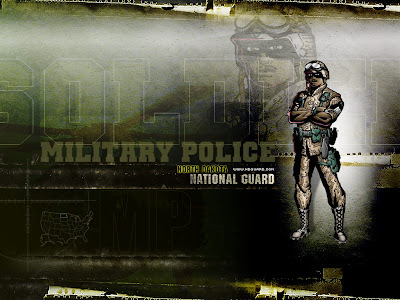 I was researching for a current project when I came across a bunch of desktop wallpaper designs I did for the North Dakota National Guard years ago. I totally forgot that I did these! It was a fun project. I got to play around with texture and color, which is my favorite. I also got to utilize the wonderful illustrations provided by the Guard. (No, I didn't do the character illustrations...wish I could say I did, but I didn't. I can't even give credit because I don't even know who the Illustrator was!) I'm trying to recall what year these were done...hmmmm. Anyway, see all of them here. Speaking of texture and color...I assigned my students a digital design assignment. I'm anxious to see what they've come up with. And I actually took part in the fun and did my own. Look for more to come in the next post!